Some of the world’s best chess players learned how to play when they were very young. The youngest person so far to become a grandmaster is Sergey Karjakin of Ukraine, who won the title at the age of 12 in 2002. In the same way that your child can become a good chess player if he learns the game at a young age, he can also become good at investing and managing his money if he begins learning basic financial concepts when he is very small. Why? 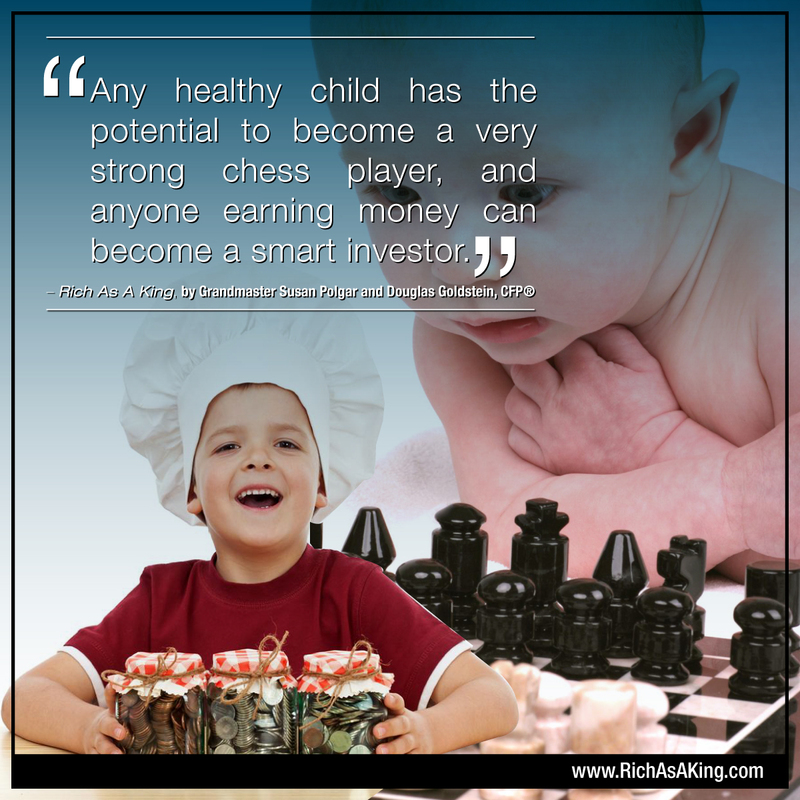 What makes a child a strong chess player? You don’t have to be a genius to learn to play chess. Anyone with enough practice and skills can learn to play a good game of chess. However, a young child can absorb the necessary techniques and skills quicker than someone older, whose habits and mindset are already ingrained. Children may also be more enthusiastic about challenges and winning games than adults, giving them the push to learn more. If you give your child chess instruction at a very young age, what will happen? If he enjoys playing chess and develops his abilities, he may become a chess grandmaster. But even if he doesn’t play in chess tournaments or win any prizes, he will develop strategic thinking skills that will benefit him later on in life, whether in the classroom, at work, or in his personal life. In the same way that a child can pick up chess skills more easily than an older person, it is easier to learn positive financial habits when still young rather than having to unlearn bad money habits later on as an adult. Even small children can learn that cash doesn’t simply grow behind the wall of the ATM and to get the things you want, you need to earn and save the money to pay for them. Even preschoolers aren’t too young to learn about money. Start with simple concepts, such as putting coins into a piggy bank and charity box. As your child grows up, show him the importance of recording expenses in budgeting programs (such as Quicken) and explain more complex ideas such as compound interest. For more ideas about teaching your child about money, click here.